We’re happy to announce our first headline sponsor for Barber Connect 2017 on 11th & 12th June, the neighbourhood barbershop staple Clubman Pinaud. Since their birth in 1810 Clubman have been the go-to brand for mens grooming and mens toiletries. Their trademark packaging and gentlemanly signature scents like Bay Rum and Classic Vanilla have since become world renowned. The pharmaceutical era of the early 1900’s saw the products gain huge popularity throughout America and then the rest of the world. 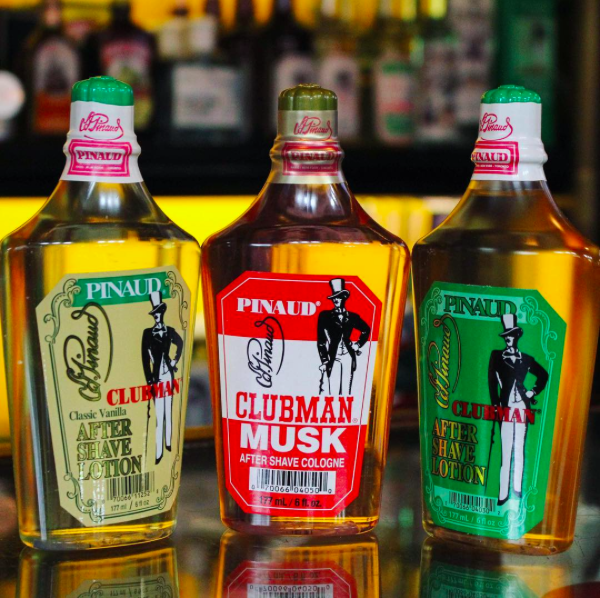 Since then, Clubman Pinaud have been cult favourites in the barbering and male grooming industries. In addition to beard oils, moustache waxes and beard balms, Clubman offer classic hair products including Country Club shampoo, Supreme styling & grooming spray as well as their now world renowned hair tonics. After successfully cracking the American market, next on the agenda for Clubman is the U.K and Europe. We look forward to having them with us at Barber Connect 2017!